As Bruce Springsteen has stated many times in interview, by 1978, both himself and the characters in his songs had grown up and were now in their late twenties/early thirties, the breathless, energetic youthful optimism of "Born To Run" had been depressingly replaced by a cast iron reality. All that they could look forward to now was a life of more responsibility, struggle and ultimate disillusion. 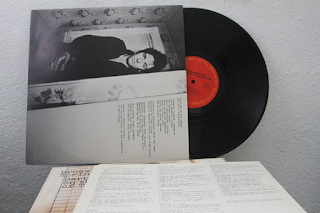 Such seemingly dour sentiments produced, in my opinion, Bruce Springsteen's great album. 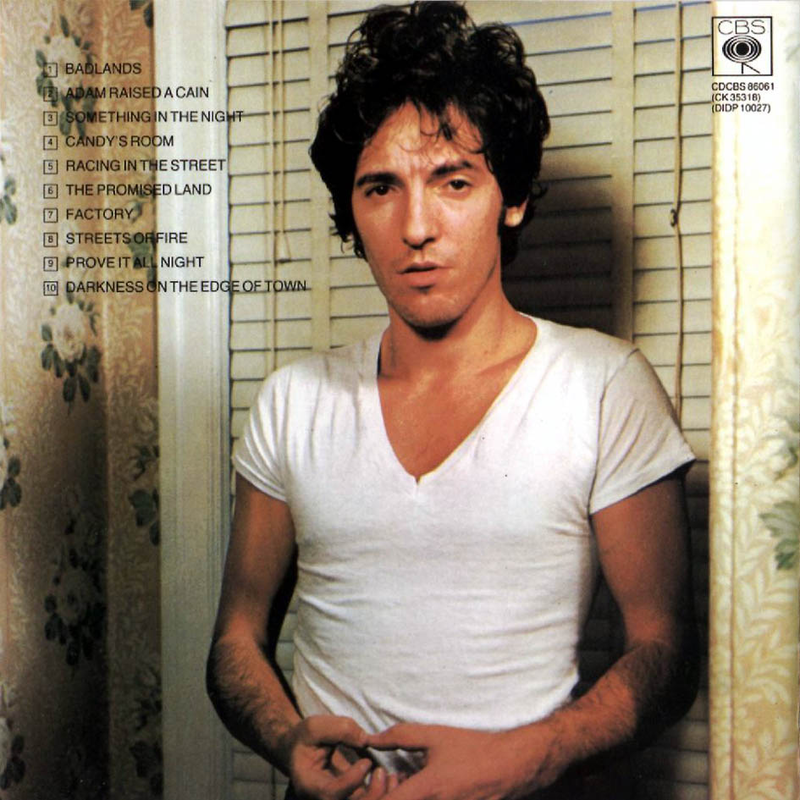 Remember, also, that in 1978, Bruce Springsteen was, certainly in the UK, still very much a "cult" artist that no-one knew quite what to make of, looking like a cross between Elvis in 1968 comeback era and "The Fonz" from "Happy Days". Punk was at its height. Was he a punk? Well, he wore a leather jacket, but his were extended rock songs, not two minute thrashes. No matter, the punks, all too eager to dismiss "boring old farts" seemed to respect Springsteen. Everyone did, whether they liked him or not, indeed, whether they had heard his music or not. He just seemed credible. Max Weinberg's drum roll introduces this searing tub thumper of a Springsteen anthem in the opener, the bombastic "Badlands". Full of lyrics concerning the everyday struggle of the ordinary man over a strangely uplifting musical backing - great guitar riffs, pounding drums and, of course, Clarence Clemons' soaring mid-song saxophone solo. Springsteen opens his soul and makes his sentiments clear - "I wanna spit in the face of those Badlands". In many ways he still saw himself as a struggler - banned from recording for three years due to a protracted lawsuit, he was certainly not yet the superstar he became. At this point he didn't know whether he would make it into a career that would last a lifetime or not. So, "Badlands" was, at the time, not the rant of a comfortable multi-millionnaire. "Adam Raised A Cain" is a blistering, bass heavy, guitar-dominated bleak song that has often been forgotten about. When I first got in to the album, back in 1978, this was the one track that I never really liked. Now, it is one of my favourites. It has taken all those years to grow on me. The passionately delivered slow burner, "Something In The Night" contains few lines that are the very essence of this album - "you're born with nothing and better off that way. Soon as you get something they send someone to try and take it away". It speaks for itself. "Candy's Room" is a frenetic rocker that emerged from a demo entitled "Candy's Boy", which is much slower and soulful and, to be honest is the better song. The pace never lets up on this though, with some searing guitar from Springsteen and excellent drums from Weinberg. The monumental "Racing In The Street" is the album's funereal, fugue-like cornerstone about broken dreams, shattered hopes and just struggling on through an unforgiving life with that old fire still burning in your veins, somewhere, somehow. The song takes the joyous refrain from Martha And The Vandellas' Motown hit, "Dancing In The Street" and turns it into something much darker - about the teenage street racer, now grown up, with new, taxing responsibilities, yearning desperately for one more big race, just like the old days, the days of Brian Wilson's "Don't Worry Baby". This time, though, the racer doesn't come home to a loving, welcoming proud girl who said "baby when you race today just take along my love with you", he comes back to an exhausted, disillusioned woman who "stares off alone into the night with the eyes of one who hates for just being born". The magnificent, stark piano/organ/drum/guitar extended instrumental ending to the song seems to musically sum up the bleakness of it all. However, as with many Springsteen songs, there is always a tiny hint of redemption with the lines "tonight my baby and me, we're gonna ride to the sea, and wash those sins off our hands". The tribulations and struggles of the working life are back again on "The Promised Land", driving off alone on a "rattlesnake speedway in the Utah desert". Again, though, there is that spirit of hope - "mister I ain't a boy, now I'm a man, and I believe in a promised land". Great harmonica from Springsteen and saxophone from Clemons. The short "Factory" is one of my favourites. A simple backing and a sad, plaintive vocal concerning the drab lives of factory workers. "You'd just better believe boy, somebody's gonna get hurt tonight". It never got much darker. It''s just the working life. We've all been there - factory, office, hospital, railway. Everyone can relate to this. "Streets Of Fire" has a growling, impassioned vocal over a bleak organ backing introduces this grinding, industrial song of defeat and disillusion. The atmosphere is lifted just a little with the upbeat romantic rocker, "Prove It All Night". 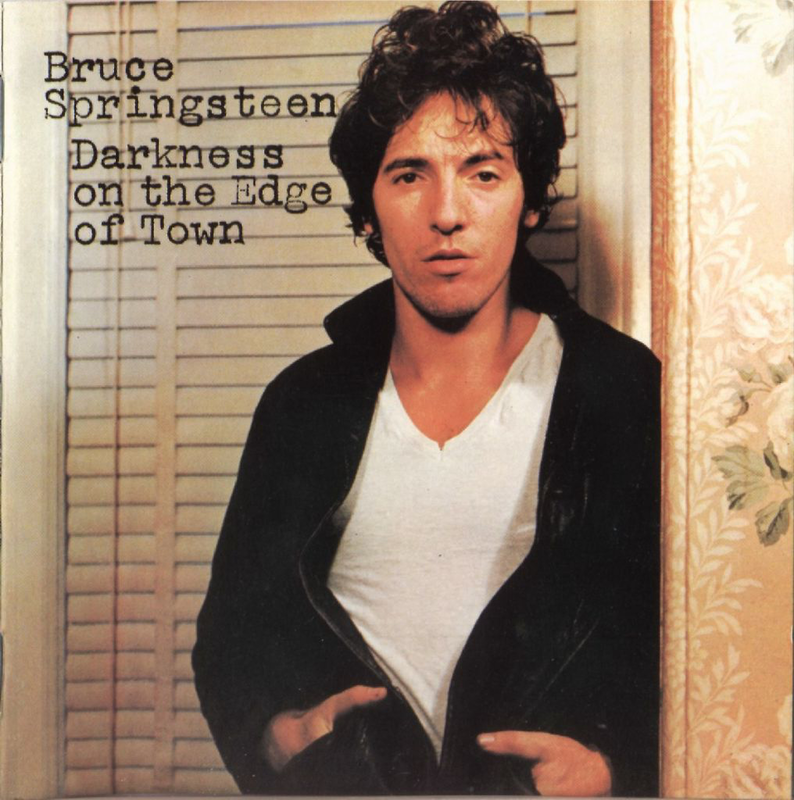 It is performed much more convincingly in concert around this same era (1978) with an extended Springsteen guitar intro and solo in the middle, showing just what a good guitarist he actually is, something that is often forgotten. Many think of him as just a singer. For the closing title track, however, the bleakness is back now, big time. However hopeful one may be about this and that, however hard you work, however hard you try, there is always a "Darkness on the edge of town", basically a darkness lurking in the soul of all of us.